Bob Parsons built an empire by being frugal. Believe it or not, in the early days of the domain market, domain ownership changes weren’t free. More than a dozen years ago, to transfer a domain from its owner to a new one, you had to pay money. This fee wasn’t just a small fee to renew the domain; GoDaddy would charge as much as $9.95 dollars to push a domain between accounts, updating the Registrant information. The process was also done manually, after one would mail in the necessary agreements signed by both parties. It’s “written” by GoDaddy founder, Bob Parsons, announcing the good news about how all domain transfers between accounts would become free. I’m sending you this email to tell you about two important changes that may affect your account with Go Daddy Software. If you’ve “opted out” of receiving our emailings, I hope you’ll excuse my including you; I felt this information was so important that you shouldn’t miss it. 1. Effective June 21, 2002, transferring domain name ownership is FREE. Prior to this, transferring ownership cost $9.95, and required that certain paper documents be signed and notarized. Due to many requests by our customers, we have changed this process entirely. The new process is now free. It’s much more convenient, yet still very secure. We no longer require you to sign paper contracts. To effect a change of ownership, just log into “Manage My Domains” and change the appropriate information regarding the domain name (usually the Registrant and Admin info). That’s all there is to it! To assure your security and to prevent your becoming a victim of mischief, we do two things when you request a change of ownership. First, we immediately send an email to the owner of the domain name before the actual transfer of ownership, alerting him or her that the transfer been made within our system. Second, we “lock down” that domain name in our system for 60 days. 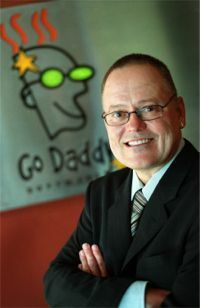 During this time, the domain may not be transferred away from Go Daddy to another registrar.  This allows the prior owner of the domain to alert us if it should not be transferred, and we will reverse the transfer if we’re so alerted. This new policy makes it very important that you make sure your current email address is on file with us, and that you check your email periodically. 2. You may now purchase packs of 5 email forwards for any Go Daddy-registered domain name for only 99 cents per pack per year. Buy as many packs as you like! Many of our customers have requested the ability to purchase email forwarding along with the domain names they register. Now you can now do this simply by logging into the “Manage Your Domain” area and clicking on the appropriate link. Forwarding lets you re-direct anything that’s sent to one email address, to another email address. For example: Suppose you purchase a domain name called “mydomain.com.” You buy an email account to go along with it; let’s call it me@mydomain.com. Then, for just 99 cents, you could create 5 email forwards that “funnel” into that address. Let’s call one of them sales@mydomain.com. Folks could then email you at sales@mydomain.com and you’d receive it in your me@mymaindomain.com. Then set up service@mydomain.com; same thing.  Billing@mydomain.com. John@mydomain.com. Sue@mydomain.com. And so on. See how valuable email forwarding can be? On behalf of all of us at Go Daddy Software, Inc. please accept my sincere appreciation for your patronage. We are pleased and proud to have you as a customer. I’ve been reselling domains since 1995 and I’ve never paid a fee to transfer nor ever heard of one. Godaddy must have been screwing people, I didn’t get an account with them until 2004. A lot of registrars used to use their own rules. J – As the article states, that was the case with transfers and account transfers (pushes) at GoDaddy up until 2002. The process was manual, and they were charging an administrative fee.